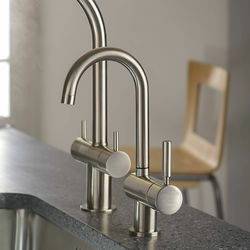 Abode Pronteau > Boiling Water Filtered Kitchen Tap 98° (Brushed Nickel). Abode Pronteau Prouno boiling kitchen tap in brushed nickel finish. 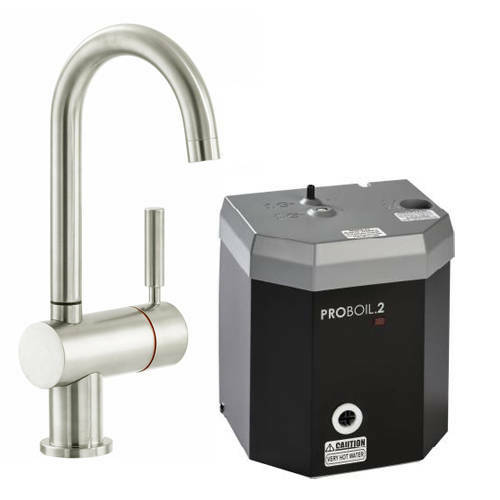 98° Filtered Boiling Hot water with the PROBOIL2 under counter boiler unit included. 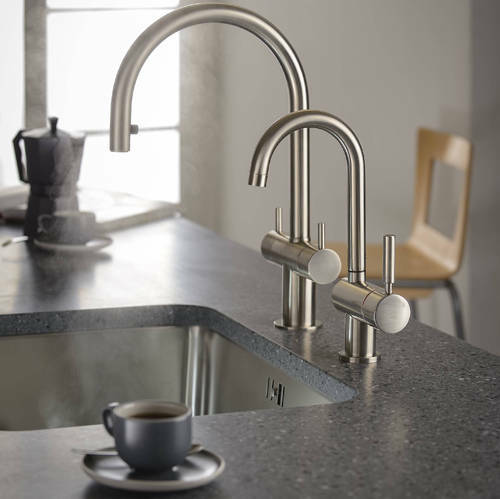 Allows you to install or retrofit a unit in any kitchen to deliver piping hot filtered water in an instant. 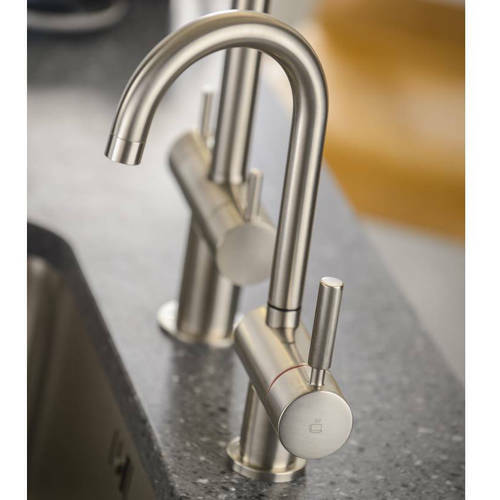 Stylish mixer dispenser tap with filtered boiling hot water. Ideal for coffee, tea and making soup.